On Saturday, April 30, Benita Keller, Photographer and adjunct photography instructor, will be holding a multi-art event on the campus of Shepherd University in Shepherdstown, WV. It will be held at the site of KellerÕs classroom trailer, which is behind the Frank Center for the Creative Arts building on the West Campus. It will be an outdoor installation, a performance photography shoot and an on-site public view of a digital darkroom in progress. Beginning at 4:00 a.m. on April 30th, Keller and her team of students and friends will be transforming the classroom trailer into an outdoor art installation. The installation will include such items as 100 pink flamingos, a pink Ford Pinto, 20 gazing balls, pink tires, pink flowers, the pink trailer dog house and many, many more Òtrailer & trashÓ items. There will be an installation brunch opening at 10:00 a.m. At 9:00 p.m. inside the trailer a gallery exhibition reception of the dayÕs photographic shoot will be held. The event called ÒTrailer & Trash or Looking Through Rose Colored GlassesÓ is sarcasm about sarcasm. Keller says that by using a conceptual art form to acknowledge, embrace and beautify typical sarcasm not exclusive to her state of West Virginia, she is breaking down barriers that surround these prejudices. Keller says, ÒItÕs like IÕm Òmaking funÓ of the people who Òmake funÓ with jokes they say such as; ÒHow do you know that you are a redneck West Virginian? When your house is on wheels.Ó She is also making a direct statement against the newly Òpolitically correctÓ term Òlearning cottageÓ that is being used by many of the educational systems that are, just as Shepherd University; embracing growth yet are dealing with limited and or cut educational funds for additional traditional classroom facilities. Reading the statistics, which are alarming, isnÕt necessary when trailers can be seen tucked in, or around, and most likely behind, elementary, middle, and high schools and colleges across the country. Several years ago, when the Shepherd College, since becoming Shepherd University, Art Department was faced with lack of classroom space, a classroom trailer was the solution. And while Keller says that in her art installation, she acknowledges the continual lack of government funds for educational systems across the country, she actually likes having her classroom in the trailer and will be sad to see it go when the multi-million dollar art and theater complex, finance with a large amount of private funding, is complete. Keller says that the trailer concept is not new to her and that she has actually been researching the history of the trailer and its origin that is based in economic struggles. Her parents who are both Jefferson County, West Virginians, pulled their first home from Baltimore, Md, to Ranson, West Virginia. It was a government surplus military trailer that was used to house our military personnel on military bases. For the government, it was an inexpensive way to have a temporary home for military personnel. And for KellerÕs parents in 1949, her father just coming out of World War II, it was an economic solution to the American dream of a middle class home of their own until they could afford a ÒrealÓ house. KellerÕs brother lived in a trailer for many years on the family 40-acre farm in Kearneysville, WV, before he and his wife could afford to build their ÒtraditionalÓ home. Trailers placed on family farms for adult children are typical in farming families across the country. And when KellerÕs mother at 70 found the family farmhouse too large and expensive to maintain and operate, a new doublewide mobile home placed on the farm acreage was a very nice and affordable solution. Benita Keller says that she actually likes having her classroom in a trailer because being an artist it allows her the opportunity to offer her students a creative and alternative space for learning. She has adapted her classroom to the Òliving roomÓ concept adding couches, overstuffed chairs, rugs, coffee table, pillows, curtains and a coffee pot. Her students agree that the atmosphere feels more like the master artists sitting around Greenwich Village, New York, in their apartments discussing life and art. Keller says what she doesnÕt like is the lack of government funding across educational systems forcing budget cuts that first attack the music and arts in schools. And she then says that what really angers her is the new Òpolitically correct termÓ that is embraced by people who think that itÕs condescending to place ÒlearningÓ and ÒtrailerÓ in the same context. Keller says, ÒWhat does this say about all of the hard working middle class Americans who have embraced the trailer as their home.Ó Keller concludes that there is as much Òhouse trashÓ out there as there is Òtrailer trashÓ and to imply that the term Òtrailer Ò is a condescending concept forms prejudice against people who live in trailers by choice or by economic reasons. She embraces the term Òclassroom trailerÓ and denounces the Òlearning cottageÓ ideology. 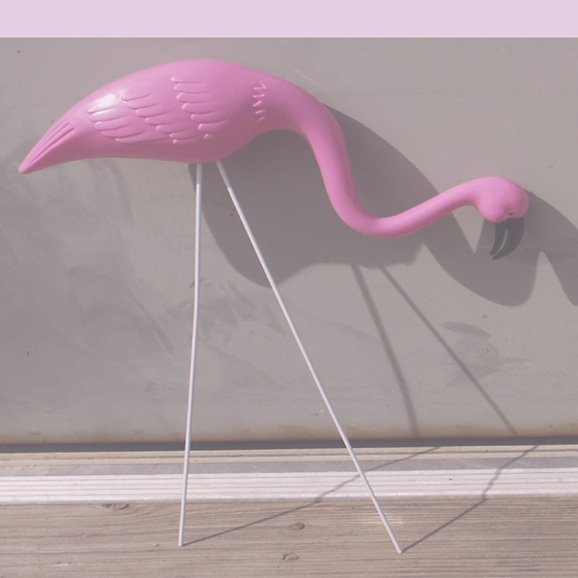 Keller says that itÕs interesting, also, that items used in the her trailer installation such as flamingos and gazing balls which used to be typical Òtrailer trashÓ are now being embraced as antiques and adorning lawns other than the trailer lawn. Keller is a fine art photographer and photojournalist and has taught as an adjunct instructor in the photography department at Shepherd University, Shepherdstown, West Virginia, for 15 years. She is also the gallery director of the Frank Center for the Creative Arts Gallery at Shepherd University. She has traveled to Cuba, taking her photojournalist classes with her, and to Russia, Vietnam and Africa to work on her photography. She is presently working on three books of her work. ÒBirth, Death, and WomanÓ, ÒOut of the Darkness, Havana, CubaÓ and ÒThe Wedding House, Havana, CubaÓ. She has shown her work in New York, California, Washington, DC, and locally. She has won several major art grant awards for her work, was a runner–up for the Dorothia Lange Award with photographs taken at a womenÕs homeless shelter in Martinsburg, West Virginia. She is in the archives of The National Museum of Women in the Arts in Washington. DC. Benita Keller is a native West Virginian, grew up on her family farm in Kearneysville, WV, received her undergraduate degree from Shepherd College, Shepherdstown, WV, and her MFA from University of Maryland. . Questions about the installation can be addressed to Benita Keller, Photographer, at 304 876-5446 or bkeller@shepherd.edu.